Coming to a Range Near You (Someday): Toptracer. Yes, the ball-tracking technology seen on virtually all PGA Tour TV broadcasts is finding it's way to outdoor driving ranges. 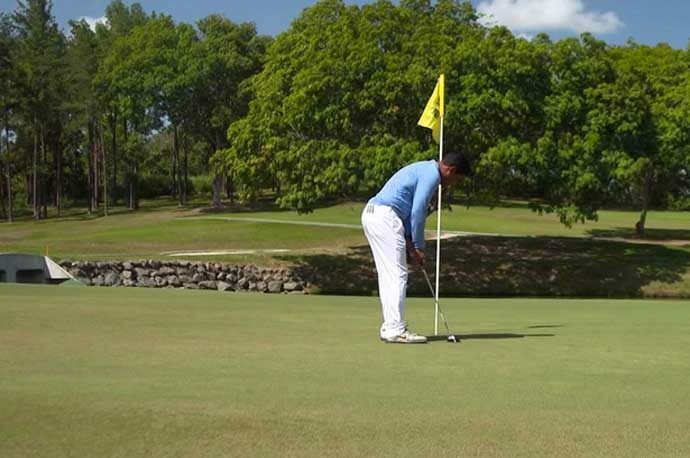 Using an app loaded into a player's smartphone, the player can see the apex, distance, ball flight and left-to-right or right-to-left movement of every shot. Loading famous golf holes on the app allows friends and family to compete on virtual golf on simulated courses from their station on the range. 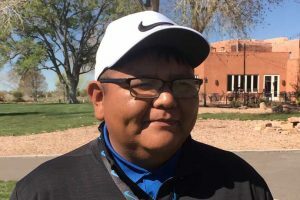 Albuquerque-area golf professionals say the price would have to drop significantly before it became affordable at their courses. 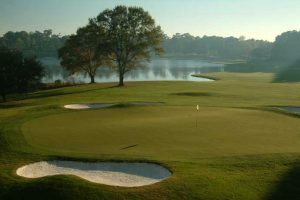 MyrtleBeachGolfTrips.com has unveiled its newest package – the Founders Group All-Inclusive – which allows players to choose among 22 of the area’s best courses and includes free range balls, lunch and two draft beers each day. 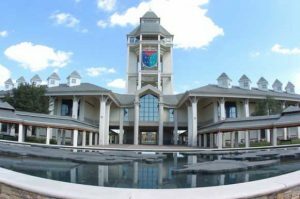 The Founders Group All-Inclusive golf course lineup features many of the Myrtle Beach area’s most prominent layouts, including the Grande Dunes Resort Course, TPC Myrtle Beach and King’s North at Myrtle Beach National. Pawleys Plantation and Long Bay Club, both highly regarded Jack Nicklaus designs, World Tour Golf Links and Pine Lakes Country Club, Myrtle Beach’s first course, are also among the headlining layouts in the package. 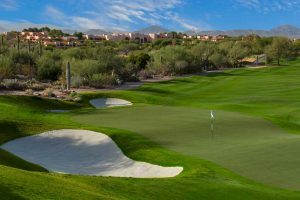 The Founders Group All-Inclusive can be booked as golf-only or stay-and-play package, and it begins at just $55 per day for tee times. 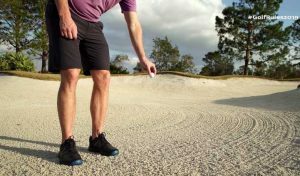 Rules Flap Continues: Mike Purkey of the Morning Read writes that two of the changes to the Rules of Golf that went into effect on Jan. 1 need to be repealed: Putting with the flagstick in and the knee-high ball drop. Read Purkey's full story at the Morning Read. World Golf Hall of Fame in St. Augustine, Fla.
Retief Goosen. Male Competitor. Known affectionately as “The Goose,” Retief Goosen sat within the Official World Golf Ranking’s top 10 for more than 250 weeks from 2001 through 2007. His 33 worldwide wins include two U.S. Open Championships in 2001 – the same year he was named European Tour Player of the Year – and 2004. Goosen led the European Tour Order of Merit in 2001 and 2002. He also played in six consecutive Presidents Cups from 2000 to 2011 as part of the International Team. Billy Payne, Lifetime Achievement.During his 11 years as Chairman of Augusta National Golf Club from 2006 to 2017, William Porter “Billy” Payne oversaw a number of significant achievements including the introduction of female members into the club’s membership. He originated the Drive, Chip & Putt National Championship with the USGA and PGA of America and established the Asia-Pacific Amateur and Latin America Amateur tournaments, each offering guaranteed Masters’ spots to the winners. Named the GWAA’s William D. Richardson Award recipient, Payne also received the Olympic Order after serving as president and CEO of the Atlanta Committee for the Olympic Games from 1992 to ‘96. Continuing his legacy and involvement with the Olympics, Payne was a key figure in the successful return of golf to the 2016 Games. Jan Stephenson. Female Competitor. In her first season on the LPGA Tour in 1974, Jan Stephenson was named LPGA’s Rookie of the Year. She went on to lead an impressive career with 20 professional victories, including 16 on the LPGA Tour. She is a three-time Major Champion with wins at the 1981 du Maurier, 1982 LPGA Championship and the 1983 U.S. Women’s Open. Her impact on the game extends outside of her play as one of the founders of the Women’s Senior Golf Tour. 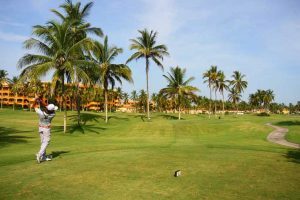 She is involved with golf course design and has made many charitable contributions including being an honorary chair of the National Multiple Sclerosis Society. Stephenson was also honored with the Order of Australia Medal in 2018 for her contributions to the game of golf. Dennis Walters, Lifetime achievement. Dennis Walters is an elite golfer who was paralyzed from the waist-down at the age of 24 following a golf cart accident. He has since dedicated his career to sharing life lessons and inspiring fans and disabled golfers of all ages through golf clinics and special performances at more than 3,000 worldwide appearances. Former spokesperson and national ambassador for The First Tee, his message is to always continue hoping and dreaming. He is one of only 11 honorary lifetime members of the PGA of America. Walters was also honored with the 1978 Ben Hogan Award and was a 2018 recipient of the USGA’s Bob Jones Award. Peggy Kirk Bell, Lifetime Achievement. Margaret Anne “Peggy” Kirk Bell took up the game as a teenager, making a name for herself as an amateur star. She went on to become a charter member of the Ladies Professional Golf Association in 1950 after winning the 1949 Titleholders Championship and participating on the winning 1950 Curtis Cup team. She received the PGA of America’s First Lady of Golf Award in 2007 and was an avid supporter of the game as a top 100 golf instructor, becoming the first woman selected into Golf Magazine’s World Golf Teachers Hall of Fame.